Here is another shot from a weekend trip to New York. 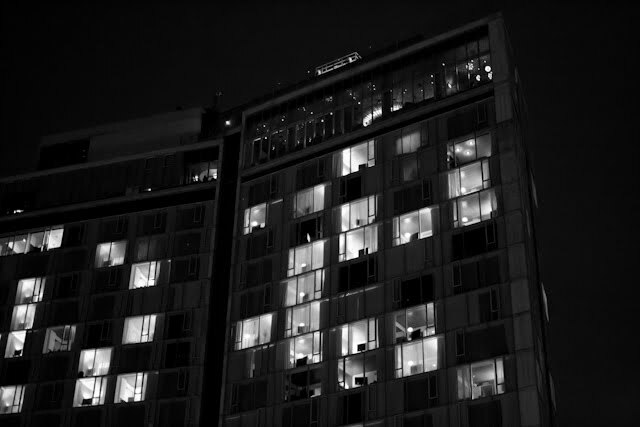 This building (The Standard Hotel in Meatpacking District) is on top of The High Line - my all time favorite place in New York. I took a daytime shot of the same building in spring.